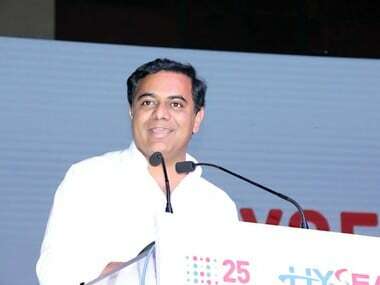 Forecasting no majority for either the BJP or Congress in coming Lok Sabha elections, TRS Working President KT Rama Rao on Wednesday asserted that his party will play a crucial role in formation of a coalition government at the Centre after the polls. 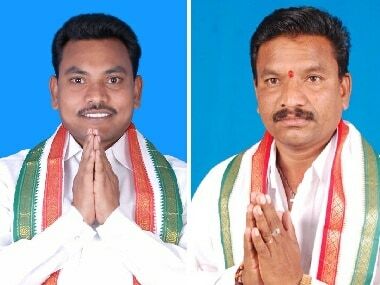 The TRS' strategy is clear: Openly embracing the YSR Congress and forgetting the bitterness of the movement for a separate state. 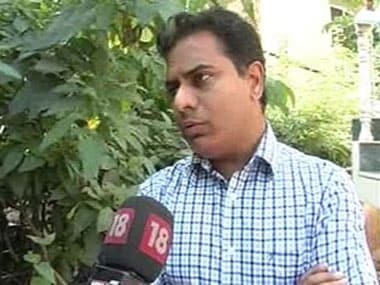 KT Rama Rao also informed that KCR will go to Andhra Pradesh to meet Jagan Mohan Reddy and he will take these discussions forward. 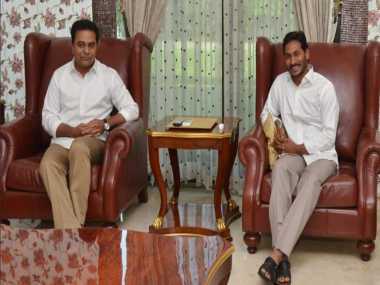 Telangana CM K Chandrasekhar Rao's efforts to create a non-BJP, non-Congress "third federal front," received a huge push as his party TRS, led by his son KT Rama Rao, met YSR Congress president YS Jaganmohan Reddy. 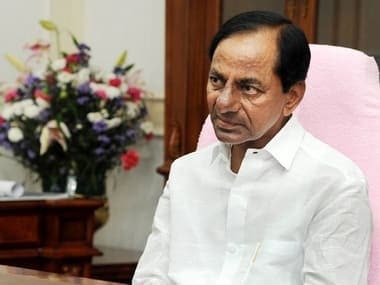 Stepping up his efforts to form a non-BJP non-Congress federal front, Telangana chief minister K Chandrasekhar Rao has said that the TRS would hold talks with YSR Congress to try and rope the party into it. 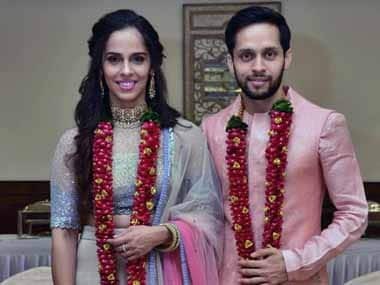 Last month, Saina Nehwal and Parupalli Kashyap started extending their wedding invitation to important personalties, including Telangana MLA KT Rama Rao, film star Chiranjeevi, owner of Hyderabad Hunters (PBL franchise) VRK Rao. 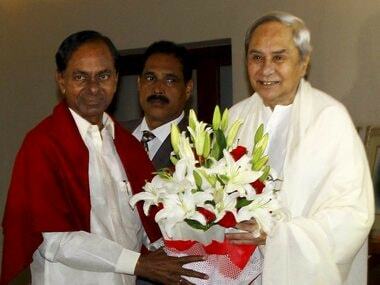 Telangana Rashtra Samithi supremo K Chandrasekhar Rao appointed his son KT Rama Rao as the party's working president n Friday, a day after Chandrasekhar Rao, commonly known as KCR, was sworn in as chief minister.